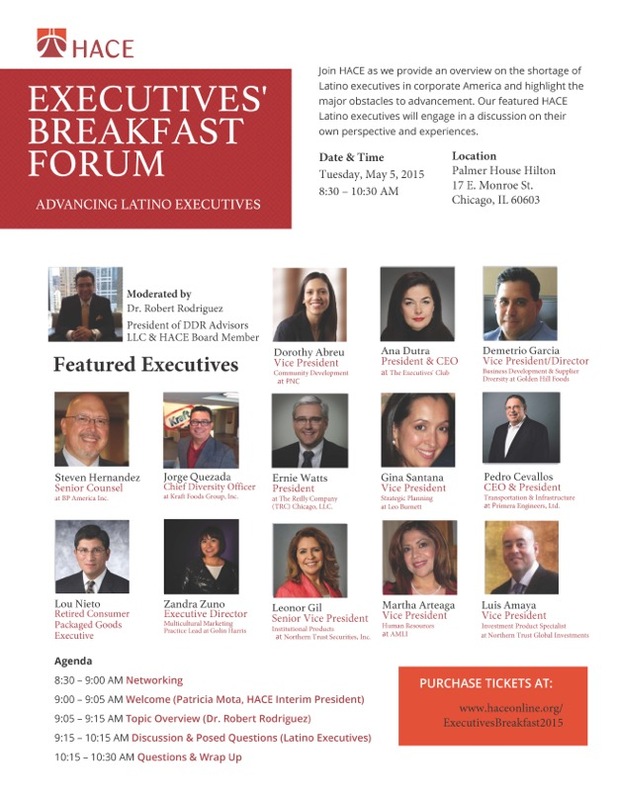 I’m looking forward to participating in the Executives’ Breakfast Forum with the Hispanic Alliance for Career Enhancement on Tuesday, May 5, 2015 at the Palmer House in downtown Chicago. HACE’s annual Chicago conference connects leading organizations with top Hispanic talent. To kick off the conference I’ll be joining senior level leaders to provide an overview on the shortage of Latino executives in corporate America and discussing the major obstacles to their advancement. Can Toy business around the globe. Can Toy is a durable natural rubber dog toy that can be filled with treats to keep your dog entertained for hours. This natural, non-toxic, sustainable and biodegradable product will be exhibited at the Global Pet Expo for the first time and promises to be one of the hottest pet products released this year. Can Toy Originals are available now. Can Toy Hunt, Can Toy Magnum, and Can Toy Pup Cans will be unveiled at the Global Pet Expo and available to the public in May 2015 at Pet Specialty retailers. 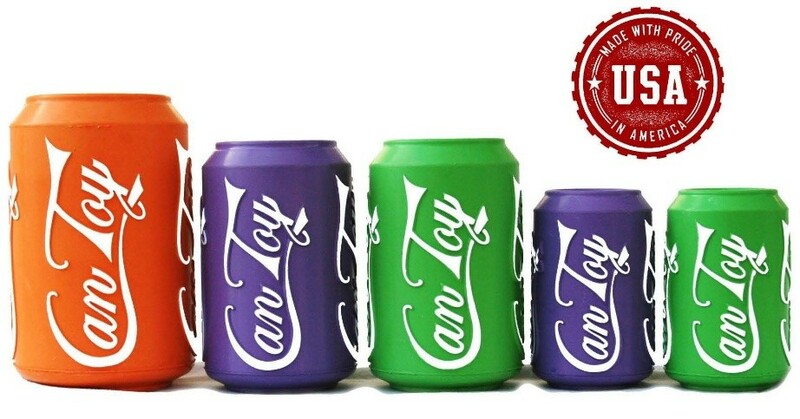 Media and buyers attending the show can see Can Toy at BOOTH 880. Global Pet Expo is the pet industry’s largest annual show and is listed in Tradeshow week 200. This annual listing of the top 200 North American trade shows is compiled by the Los Angeles, CA trade show industry publication Tradeshow Week. Emerging markets continue to yield exciting growth opportunities for organizations that are committed to long-term results. Volatility and uncertainty remain the norm yet a focused, strategic plan, built on a market knowledge inventory that prioritizes risks and opportunities can often produce returns that exceed expectations. Tomorrow I’ll be attending the Emerging Markets Summit sponsored by the University of Chicago’s GSB. The robust program is sold out clearly indicating that interest in emerging markets is high and the tools to be successful in these markets are in high demand. Does your organization have the right plan to be successful in emerging markets? CHICAGO – The Reilly Company, a leading international services firm assisting clients around the globe, announced that TRC Chicago, LLC has been retained by L.A.B. Equipment, Inc., of Itasca, Illinois to directly manage all sales and marketing activities in Latin America. “As a truly global company, L.A.B. Equipment provides customer focused shock and vibration test equipment in every major market including North and South America, Europe, the Middle East and Asia,” said Bill Noonan, President of L.A.B. Equipment. “Latin America continues to be a significant growth opportunity for us and we know from first hand experience how effective The Reilly Company can be directly managing our channels of distribution in this complex region”. “In 2006 – 2007, L.A.B. hired The Reilly Company to assist Techlab Systems (L.A.B.’s sister company) with business development in Latin America and Asia”, commented Ernie Watts, President of TRC Chicago. “Now our focus will be on business development opportunities for the core L.A.B. Equipment products in Latin America. Our unique “pay for performance” model allows L.A.B. to leverage our expertise in channel performance improvement and strategy to realize immediate returns on incremental revenue and profit. We look forward to working with Bill and the L.A.B. team again. The greatest reward for our work is the strong and solid relationship we have with our clients, past and present’, added Watts. L.A.B. Equipment, Inc., was established in 1933 and has been recognized for decades as the global leader in the design, manufacturing, and service of product reliability and package testing equipment. The corporate offices of L.A.B. Equipment, Inc., as well as its sales and engineering team, are located in Itasca Illinois. The Reilly Company, founded in 1988, is an international management services company providing solutions to management, marketing, sales, distribution and operating problems worldwide. The company is dedicated to identifying areas of potential market opportunity and performance improvement thereby helping its clients to compete successfully in world markets and maximize their growth and profits. TRC Chicago, LLC is the Chicago based affiliate of The Reilly Company. Working closely with Fulton 365, The Reilly Company helped Crocs build a retail resort presence in the Caribbean tied to the major cruise lines! 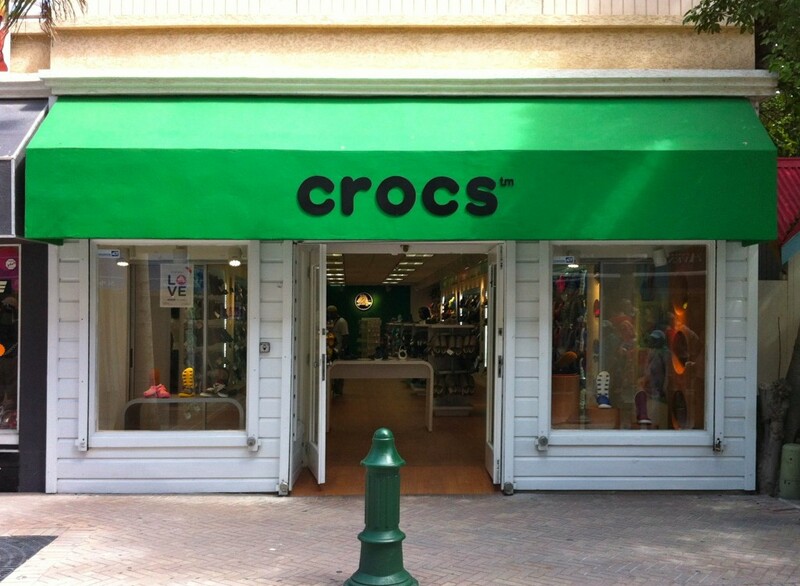 For years Crocs has had a significant presence on the island of Puerto Rico and built strong relationships with the local wholesale accounts. The classic Crocs are a natural for the year round sun and boating activities that are core to the brand. 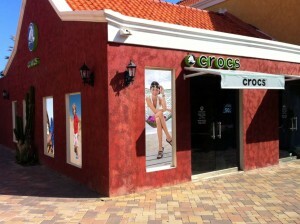 Upon completion of the Market Opportunity Assessment conducted by The Reilly Company in the spring of 2010, Crocs moved to restructure its’ local management team and hired Luis Santori as their new Business Manager for the Caribbean. With his strong background in the retail and surf markets it didn’t take Luis long to recognize that significant growth opportunities exist for the Crocs brand throughout the Caribbean. Using the International Expansion Process facilitated by The Reilly Company, Crocs determined the best go to market strategy for the many diverse islands and qualified prospective partners to support the strategy. Built into the retail expansion strategy was a key competitive element – direct marketing and promotional links with the major cruise lines operating in the Caribbean. The mastermind behind this strategy was Paul Fulton, CEO at Fulton 365. Since 1999, Mr. Fulton and the team at Fulton 365 have facilitated the opening of retail stores and operations in every major cruise ship port in the world. For more than a decade, they have developed relationships with top cruise lines, marketing and promoting products to nearly 70% of the world’s 16million annual cruise ship passengers. Crocs will be featured on cruise ship marketing and promotions and Crocs store owners will benefit directly from port of call audiences ready to stock up on the great styles perfect for cruise destinations. That is the kind of collaboration that can put your business expansion and profit maximization on cruise control! CHICAGO — The Reilly Company, a leading international services firm assisting clients around the globe, announced today that it has successfully completed the transition of the Latin America business at Crocs, Inc.
“We are delighted to have been a part of the significant growth that Crocs has experienced in Latin America and grateful for the close working relationship with the entire Crocs team”, said Ernie Watts, President of The Reilly Company Chicago. “The strong and solid relationship we have with our clients like Crocs is truly the greatest reward for our work”. The Reilly Company was initially retained by Crocs in November of 2009 to conduct a Corporate Performance Assessment of the entire Crocs Latin America business. Using the Global Advantage process in each key market, The Reilly Company was able quickly identify critical success factors and develop a strategic and tactical plan that Crocs could implement for immediate results. “Our business in Latin America was growing rapidly and approaching the size where we needed a fresh perspective and visionary, seasoned leadership. The Reilly Company helped us focus on our business objectives, strategic and profitable growth among varying market conditions and business models and helped us identify critical issues and recommend a go-to-market strategy for each country. They then worked full time in our business to help us implement the plan and transfer expertise to our team”, according to Doug Hayes, former President of Crocs Americas (now CEO at Ash City). Watts points out that the Crocs Latin America team had built a solid position in wholesale channels in Brazil via its local subsidiary there. “The brand was well positioned with key wholesale partners in Brazil but lacked a strategy to build critical mass, develop new channels (retail and e-commerce) and prioritize opportunities in distributor markets”, said Watts. Once the strategic plan was adopted by Crocs senior management, Watts was retained on a full time basis to lead the plan implementation as Vice President, Business Development for Crocs Latin America. “This is where The Reilly Company is unique in our focus on a long term partnership that complements the skills of the teams we work with. As former senior line executives with strong general management and business development backgrounds we can work directly in your business, manage your channels of distribution and transfer the foreign business practices and inter-cultural characteristics essential to success directly to your staff”, added Watts. Opened new wholesale accounts and segments to increase total POS by 50%. Used The Reilly Company Supplier/Partner Performance Assessment process to strengthen the entire distributor network and triple revenue through channel partners. Established new direct to consumer (retail and e-commerce) subsidiaries in Argentina and Chile. 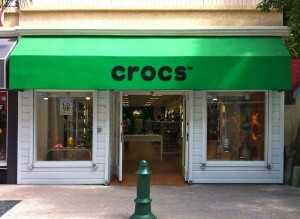 Opened flagship Crocs stores in Brazil, Argentina and Chile and increased total Crocs retail POS (owned and partner stores) from 40 to 135. Rolled out a full e-commerce platform in Brazil. Developed local sourcing options in Brazil and Argentina via third party suppliers and licensees. Launched seasonally appropriate products supported by regional marketing strategies and programs. The Reilly Company Chicago is the Chicago based affiliate of The Reilly Company. In May I wrote about the serious disconnect between organizations looking for the talent they need to build their business and the pool of talent looking for new opportunities. This week I witnessed true engagement on the part of an organization committed to making the connection work for all. ConocoPhillips (COP) is a leader in the oil and gas industry on a global scale. They have weathered the current economic storm better than most with a sound business strategy and the ability to marshal all of the necessary resources, particularly their human resources. On Tuesday we participated, in support of one of our clients, in a meeting of the Hispanic Affinity Group at COP. Our client’s work with Fortune 500 companies interested in reaching out to the Latino community, both here and abroad, continues to reinforce the value that affinity groups bring to global companies – value that impacts recruiting the necessary talent and then retaining that talent. Many companies short sell their efforts to build a meaningful pipeline of talent. “We’re not hiring now.” “Budgets have been slashed.” “We are focused on improving productivity.” Worse yet, companies fall into the trap that this is a “buyers'” market and believe they can be selective and don’t have to work very hard to find talent. Our experience shows us that, in many cases, the exact opposite is true. Real talent will always be selective about the organizations they work for and will do the hard work (research, qualifying, networking) necessary to find the right opportunity. They understand that companies are being selective about hiring (if hiring at all) but also have a keen sense of a company’s real level of engagement. They want to see organizations actively promoting career opportunities. They want to see organizations continue to support community outreach. They want to work for organizations that will work just as hard as they do to find the right fit. COP is re-energizing their support of affinity groups and looking to make them more strategic and visible in terms of hiring, retention and community involvement. The day after their Hispanic affinity meeting they were out in full force at our client’s local diversity recruiting event. Key COP staff (including senior level executives) were manning the company booth, volunteering in the career help center and delivering a workshop focused on Hispanic careers in the oil and gas industry. COP continues to scrutinize their headcount and manage their resources as diligently as any other organization in the current environment. Their actions this week, however, demonstrate their long term commitment to making the connections to the talent they will need going forward. Is your organization ready to compete with COP for talent? Our clients routinely ask us about opportunities in China. Usually it is with eyes glazed over and pupils shaped like dollar signs! All of the above may, or may not, be true. What is most certainly true is that China is a very complex place to do business that is, and will be, an ever greater opportunity for organizations that are prepared and realistic. Realistic about the investment in time, effort and resources. When it comes to doing business in China the old adage – “look before you leap” rings true. Many of the pitfalls and potential hazards of rapid expansion to China were outlined recently by John Rogers, President of the MidWest US-China Association. China really is “Mr. Rogers’ Neighborhood” as he has traveled to the country over 50 times advising clients and working directly on projects. He correctly points out that China is really multiple markets with an incredible amount of diversity in terms of language, customs, geography and cultures. In our work with clients considering expansion to China we often have to pull back on the reigns just as they are leaving the gate. This is where a solid understanding of a businesses’ strengths and weaknesses combined with a consensus on the critical success factors can save real time and money. From there a complete market knowledge inventory can be developed and an accurate opportunity assessment completed. At that point, armed with a rational strategy, the business can begin to tap into available resources and the necessary contacts for success.